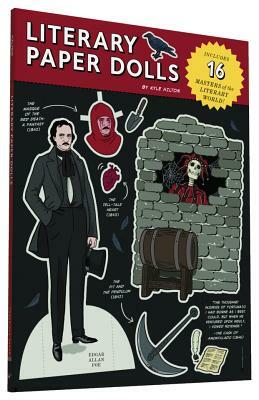 Experience literary genius first-hand with these paper doll versions of famous authors. William Shakespeare, Ernest Hemingway, Virginia Woolf, and more come to life in illustrator Kyle Hilton's playful style, accompanied by bookish trivia and scholarly accoutrements. This is literature brought to life. Camaren Subhiyah is a Brooklyn-based writer and editor at Random House. A die-hard "Downton Abbey" fan and unabashed Anglophile, she would happily swap penicillin for a world filled with tweedy three-piece suits and Poiret evening dresses. Kyle Hilton is an established illustrator from Jackson, Mississippi whose work has been featured in "The New York Times", "TIME", "The Huffington Post", and "New York Magazine". He'll keep his penicillin.